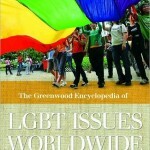 The chapter on Belarus was included in the Greenwood Encyclopedia of LGBT Issues Worldwide published earlier this year. The three volumes account for more than 1300 pages of important and timely information. This set has an ambitious scope with the goal of offering the most up-to-date international overview of key issues in the lives of lesbian, gay, bisexual, and transgender individuals. Eighty-two countries are represented. Belarus chapter was written by Viachaslau Bortnik, Belarusian human rights defender and LGBT activist. Bellow we provide excerpts from the chapter. While homosexual activity is no longer considered a crime in Belarus, and the age of consent for heterosexual and homosexual relations is equal, LGBT rights still remains a marginal topic in public discourse and does not play any role in national and or local politics. Homophobia remains widespread throughout the country country, and instances of harassment and discrimination appear occur regularly. Many Belarusians believe consider homosexuality to be a disease, and some see it as a sin, but few consider it a legitimate sexual orientation. President Lukashenka and members of Parliament parliament often make negative statements about homosexuals, which strengthens strengthening the homophobia in society. Homosexuality is frowned upon in Belarusian society and condemned by the church. Belarusian society is conservative in this respect, with homosexuals generally being socially stigmatized. Gay life in Belarus remains largely underground, and only a few homosexuals openly declare their sexual orientation. The government-controlled media often attempts to smear the domestic political opposition by associating it with homosexuality. This strategy is also used against foreign countries; in one two year period, three foreign diplomats were expelled from Belarus on claims of homosexuality. Homosexuality is often seen by the government as allied with Western paths to development. While the Belarusian Constitution constitution says it forbids discrimination, this prohibition has not extended to discrimination based on sexual orientation. Belarusian law does not provide protection for LGBT people against discrimination with regard to employment, housing, or family relationships. Although many people live together outside of marriage , domestic partnership and cohabitation is are not recognized by the government and LGBT Belarusian couples do not have any of the rights as of heterosexual couples. Gay men are also not allowed to serve in the armed forces. Although hate crimes against homosexuals are not uncommon, homophobia is not recognized as an independent motive for crimes. LGBT people continue to face harassment and discrimination by the general population; and they cannot count on police protection protection, as the police often refuse to protect the rights of LGBT citizens. There is evidence that LGBT people are targeted for violence; in 2001–2002, five LGBT people were tortured and killed in Minsk. Other countries have granted asylum to Belarusians who claimed discrimination based on sexual orientation. There is no official recognition of LGBT organizations in Belarus Belarus, although many groups continue to operate without registering, which makes them illegal. These groups face difficulties such as armed militia storming into their meetings to threaten and arrest their members, members; LGBT individuals and groups are also the target of hate crimes. Recent changes to Belarus’s Criminal criminal Code code have given the authorities even more latitude to treat the activities of LGBT groups as illegal attempts to discredit or bring harm to Belarus. The Belarusian LGBT movement is one of the youngest in Europe. It operates in one of the most repressive political environments, nearly in full international isolation, without public support inside the country. Attempts of at consolidation undertaken by LGBT groups in 2007 give vital hope for a grooving, growing developing movement to benefit the Belarusian LGBT community as a whole. The most important step in the near future is seen to be a public campaign to change the legislation affecting the relationship between NGOs and the government government; that this will allow LGBT groups to work openly and more effectively. The second step is the promotion of antidiscrimination legislation. The Belarusian LGBT movement can only achieve these serious goals by working in alliance with other organizations that fight for human rights, women’s rights rights, and other progressive causes in the country. Undoubtedly, gradual change in the political regime and future integration within the European Union will play an important role in the improvement of the situation of LGBT people in Belarus. 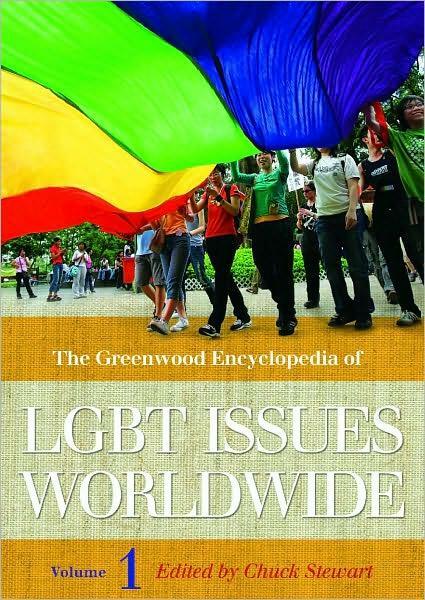 The Greenwood Encyclopedia of LGBT Issues Worldwide/ Edited by Chuck Stewart, 2010. According to the deal, Russia will deliver 6.3 million tons of oil to Belarus duty free this year. This is exactly the amount Moscow had promised at the beginning of negotiations. Russia agreed that Belarus will raise oil transit costs by about 11 percent. It turned out, that despite announcements of Belneftekhim to the contrary, the Russian side indeed suspended supplying oil to Belarusian refineries at some point. Mr Sechin said Russia would allow Belarus to continue paying a favourable tax rate on oil supplied for its domestic needs in 2010. It was not clear how much tax Belarus will pay on oil it re-exports after processing in its own refineries. Welcoming the deal, Mr Sechin said Russian officials had given up their New Year holidays to negotiate the settlement with Belarus. “Belarus’ position was very tough for us,” he said in a statement posted on the government website. “We agreed a series of compromises taking into account our special relationship with the brother republic and with the people of Belarus.” Talks between the two sides about co-operation in gas and atomic energy are to continue in the coming weeks. Read full text in Financial Times.